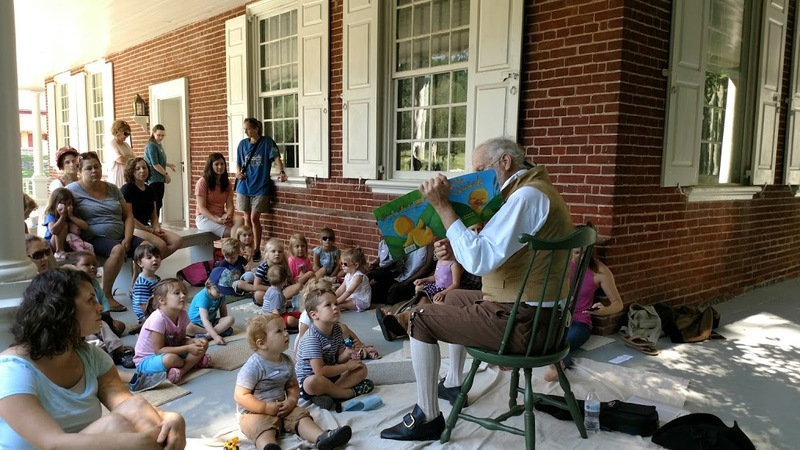 During this program, a Rock Ford docent reads a selected story of Early America to the children while gathered on the spacious porch of the mansion. Following the story, children participate in a fun activity. Afterwards, children and their adults may enjoy the grounds of Rock Ford Plantation. The program begins at 10 am and runs for approximately 30 minutes. Stories on the Porch is geared toward children from preschool through 5th grade. Children must be accompanied by a parent or other responsible adult. This is a free event; donations are always welcome. Reservations are not required for this event. The program will be held rain or shine.